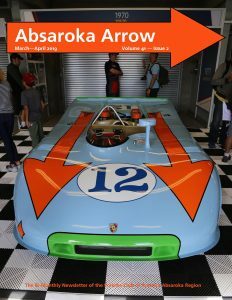 The Porsche Club of America Absaroka Region’s Annual All Euro Car Show. Billings, MT. 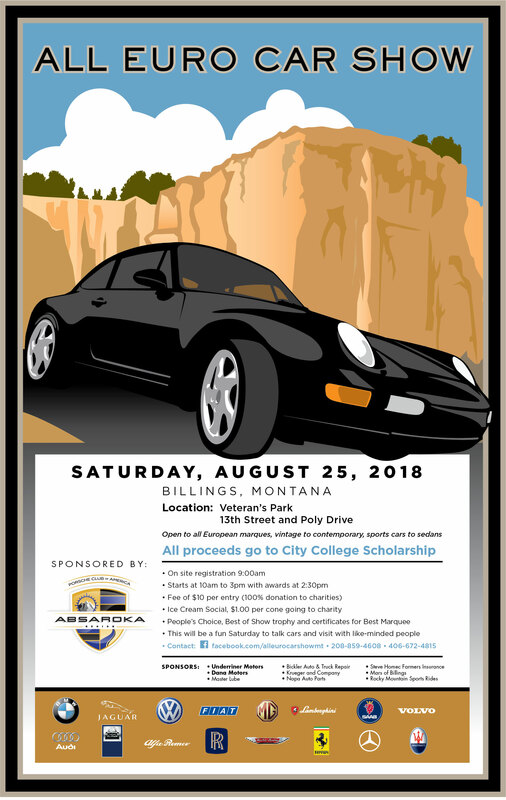 The Porsche Club of America Absaroka Region of will be hosting its annual All Euro Car Show at Veteran’s Park in Billings on Saturday, August 25, 2018. 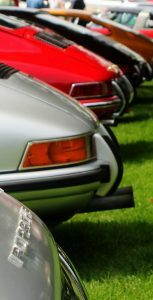 The All Euro Car Show will showcase local European cars of all makes and provide information to local Porsche owners on the Porsche Club of America Absaroka Region. An entry fee of $10.00 will be charged per vehicle with all proceeds from the show being donated to a charity. Set-up and registration will begin at 9 AM (entries accepted until noon). The show will open at 10am and will go through 3 PM with awards presented at 2:30 PM. If you are interested in showing your vehicle, details can be found on the PCA Absaroka Region’s website or on Facebook at: All Euro Car Show. Previous year’s participants have included such great autos as Hispano-Suiza, Lancia, Lamborghini, Ferrari, Mercedes Benz, Austin Healey, Jaguar and of course Porsche. Awards for People’s Choice, Best Contemporary, and the Bill Witcher Vintage Car Memorial Award, will be voted on by all attending and awards presented at end of event. The Porsche Club of America Absaroka Region was founded in Billings in 1978 and covers eastern Montana and northern Wyoming. Its goal is to enjoy the camaraderie of fellow Porsche owners and promote the Porsche brand.